The national netball team experienced a breakthrough campaign in the Quad Series. Now it’s time to capitalise. The Proteas netball team delivered breakthrough performances at the England leg of the Sanzea Quad Series last week. After producing a 48-45 victory over Commonwealth Games champions England on Saturday, they went on to give world No 2 New Zealand a real shake by taking them to additional extra time in a narrow 62-60 defeat on Sunday. 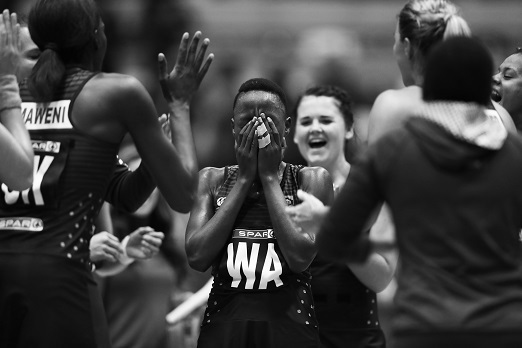 While they have improved significantly in recent years, however, there are some key areas they’ll need to focus on in the build-up to the Netball World Cup in Liverpool in July. Perhaps the most influential aspect in the national team’s improvement was the appointment of former Australia coach Norma Plummer, who was initially roped in as a consultant before being named Proteas head coach in 2015. Though they remain fifth in the world rankings, the national team have twice beaten England since she took control of the side, and they have narrowed the gap between themselves and the top-ranked outfits in the world. Plummer, however, is based in Australia and her time spent with the national squad is limited. If they hope to reach the semifinals at the World Cup for the first time in 24 years, Netball SA will need to ensure Plummer is in camp with the team as much as possible over the next few months. Their recent performances again showed the Proteas could put up real fights against the international elite, as they had done previously in the top-flight Quad Series. But they will need to find some consistency if they are to withstand the pressure of a World Cup tournament by progressing through the early stages. Their defeats to Australia and New Zealand in Quad Series matches late last year exposed some of their flaws, and to compete for a medal in Liverpool they’ll need to produce their best form for 80 minutes in every match they play. While the Quad Series has been key to the national team’s progress, giving them six matches a year against the top three sides in the world, the Proteas players are in need of more game time against elite teams. The annual Spar National Championships and the Brutal Fruit Premier League are limited to short periods during the year, and in order to prevent any rustiness at the World Cup, the SA squad will need to compete in as many warm-up games as they can. There is a plan in place, and preparation matches are already on the cards, but if the Proteas can boost their pre-tournament schedule, unofficial matches will offer far more value than internal friendly contests played at training camps.